A few weeks ago, when the regular group(s) couldn’t get together, I got together with a couple of friends and we played a round of Tomorrow’s War which is a pretty neat little squad based near-future sci-fi wargame, generally played with 15mm minis. It has a neat action-reaction mechanic to handle initiative and such, and generally seems like a really well thought out game. I had a good time and I’d like to play it again some time. So why is this entry titled “I am not a wargamer?” Because I realized that night that while I enjoy the occasional miniatures wargame and certainly appreciate a lot of elements of them (I enjoy 4th Edition D&D combat for example) it’s not really my thing. I had a good time, but it was clear my two friends were a bit more into it than I was. They had a lot more experience with wargaming than I did and so were able to grok the rules to the game a lot quicker than I was. There was a little bit of terminology that they both were clearly comfortable with that I had to kind of stop and think about to follow. This wasn’t a huge problem mind you, I was able to figure out the rules and I think I did pretty well in my game. I certainly didn’t feel like I was being excluded or anything, but there was a little while before we started playing, when were going over the rules and my eyes kind of glazed over. I didn’t get the impression this happened for my friends. There are certain aspects to some wargame rule systems that just don’t really interest me all that much, but they clearly get other people going. Tomorrow’s War is not a super complicated game, but there are other more complicated games I’ve played bits of before (or even just attempted to read) that have intricate rules for things like movement that just don’t really interest me much. It just doesn’t feel like the sort of hobby I’ll ever get really into. And all of that’s alright. Wargaming is something I enjoy well enough in small doses, and something I hope to do more of in the future, but I don’t think it’s ever going to become a major hobby of mine. I have bought a lot of mini’s to use in my rpg’s, and just because I think they’re neat, but I don’t imagine I’ll be one to spend too much time and money on a big complicated wargame. (Luckily I have other friends who will spend more time and money than me so I can just play with them when the urge strikes me). Anyway, nothing earth shattering here but I just thought I’d talk about a realization I’ve recently had about my interests as a gamer. First of all, sorry for the long stretch between posts. November ended up being very busy for me in a number of different ways that made writing blog entries, even during my lunch breaks at work, a lower priority. December is also looking busy but in different ways, so I’m hoping it’ll leave more time for writing. Anyway on to the content! So in my main gaming group we’ve been trying a number of different systems for the Sci-Fi game we’ve been playing for the past few months. It’s been an interesting way to compare systems and an even better way to to figure out what kind of games work best for our group. We started this whole crazy affair by playing Mongoose’s most recent version of Traveller. We created our own version of the setting, generated out characters (which is super fun) and then we were off. Or so we thought. Something about the Traveller system just didn’t quite work for us. We tended to get bogged down in the economic and business aspects of the game, and for whatever reason we all had a lot of trouble remembering exactly how the different systems worked. (“First you need to roll on this skill, then roll on this chart, then roll this other skill, now add this and that up and you get the cost of the goods you have to sell”). I have no doubt that if you really have those systems down and your group has the right mindset this is a lot of fun. But for us it just didn’t quite work. Things moved very slowly and I don’t think any of us were having as much fun as we had anticipated. So we moved on and our GM put together a really neat hack of Apocalypse World and gave us all versions of our Traveller characters in the new system. It was fun to try to boil down the essence of the previous incarnation in to a very different system. We had a lot of fun playing our AW hack for a few months or so, but eventually realize it wasn’t quite working for us either. Apocalypse World really thrives on interpersonal relationships between the characters but that’s just not really the focus for our group most of the time. We’re more interested in exploring and dealing with external threats and situations. Additionally, the people that are available to play any given week is pretty variable for our group, so building up those relationships becomes difficult even if we had wanted to. Again, I have no doubt at all that this would have worked marvelously for some groups, and honestly we had a lot of fun with it, but it still just wasn’t quite all the right notes for us. So we’ve switched it up again. We’ve gone back to an old favorite and I really think it’s probably going to finally be the right system for us for this game. We’re playing Savage Worlds now. As a group we tend to like tactical combat, but we also want it to be pretty fast; Savage Worlds delivers on that really well. We want to be able to create unique and varied characters and it delivers on that too. We also want a system that gives us just enough structure to do complicated exploration or social interactions with some tension from the dice but gets out of the way when we want it to. Again, Savage Worlds delivers on this pretty well. I could certainly see us using other kinds of games (I’d still like to play some Adventurer Conqueror King some time soonish, and I’ve been trying to schedule some sessions of Dungeon Crawl Classics with a few people for a while now), and we might even go back to the systems above (or variants of them, like Dungeon World which I’m pretty excited about) for short games, but I think we have a clearer vision of what our group enjoys most and what works for us best long-term now. Hopefully that’ll mean we’ll look at future games and systems with a little clearer vision of what our particular group needs and wants. Have you ever had a campaign change systems? How did it go? Why did you make the switch? This was an entry I was thinking about writing years ago when I first played the most recent version of Gamma World with some friends during a few off-nights in our 4e D&D campaign. We had had one session which involved character creation and a short part of the intro adventure the comes with the boxed set. We had a lot of fun as all the players looked at what traits they had received and tried to make some sense of them. I had a lot of fun and I think everyone else did but I didn’t think too terribly much on why. This was also the session that spawned the infamous inside joke wherein every time you say “Gamma World” you need to follow it up with “Lisa Needs Braces.” This mostly doesn’t make any sense, but it references the classic Simpsons episode Last Exit to SpringfieldÂ in which the phrase “Dental plan! Lisa needs braces!” is repeated over and over (sorry about the repetitive clip, there doesn’t seem to be a simple clip of the actual sequence from the episode available). For some reason at some point one of us started saying “Gamma World! Lisa needs braces!” and it just sort of stuck because we’re all Simpsons nerds like that. A few weeks later we had another session and had an out of town friend in as a guest player. We quickly rolled up a character for him and threw in a few options from a (then) upcoming expansion. I don’t quite recall exactly what he rolled up but he did get the “time traveler” origin as one of his two. We figured this was perfect for dropping him into an ongoing scene. He had some sort of time traveling accident and just dropped right into the scene. Someone asked about his time machine and we placed a small beer bottle (I think it was an empty Red Stripe) and said that that was about where it was. Then it struck me that that’s actually what it should be. So we decided that his time machine was actually a huge bottle that had just dropped out of the sky suddenly. We talked a bit more and decided that it was not just a giant bottle but it was a giant bottle with a ship inside of it, which just seemed like a fun weird sort of thing to be a time machine. The session went on from there and it was generally a situation where everyone’s creative juices were flowing. It was a lot of fun. Thinking and talking about it afterward my friend and I were commenting on how much we enjoyed the way the game encourages you to make up so much about your characters and the world and how much fun that is. He even commented on how much he enjoyed Gamma World even though he’s generally kind of luke-warm on 4E D&D. On my way home I was thinking about all of the different ways that Gamma World encourages you as a GM and the group to get really creative. First you get a couple of origins, that may not seem to have much of anything to do with one another and you have to try to come up with how this makes a coherent character. Then there’s the way weapons are handled. You get broad categories, with general stats for damage and accuracy and such, but you fill in the blanks on what they actually are. So a heavy melee weapon might be a parking meter, or chair, or a war hammer you found in a museum or that your tribe created. I think once you get into that mode of thinking everyone starts to come up with a lot of ideas they might not otherwise, and people start thinking very creatively. Most of the “treasure” in the game is just random junk pulled from a chart (I like to use the Junk-u-lator), but once everyone is thinking creatively it’s easy to start to come up with innovative ways to use these things. On my way home that night it also struck me that the fiction of the game (at least as presented in the boxed set, you’re obviously free to alter as you will) also encourages this sort of collaborative creativity and thinking. In the most recent version of the game it’s not a nuclear war that creates the insane world you play in it’s a mistake at the Large Hadron Collider that causes a bunch of different realities to collapse in on one another and create a “consensus” reality that alters and changes frequently. Not only does this explain the random mutations that happen in the game (via a card mechanic that I actually rather like) but it also implies that reality in this world is basically whatever everyone agrees it is. This feels like a nod to the way you’re likely to end up playing the game too: The game world is whatever everyone at the table agrees it is. There may be a number of competing ideas thrown out by the group, but the group (and the GM of course) decides which to use, and how to combine them. Both mechanically and in terms of the implied fiction of the game it feels like Gamma World really encourages group story telling and creativity. Does that make it a sort of story game? I’m not sure, but I think that’s a big part of why I like it so much. Well, that and the mutant bugs and killer robots. Note: This entry was origianly on my old gaming blog duke.brandonshire.org, and was moved over here when I moved my blogging to this site. So the cleaning up and formatting referred to is for a that blog. No I haven’t forgotten the blog here. Things have been busy of late though, with work, some home improvement, and recent weather related insanity taking up a lot of my writing time. I have however been playing around with the layout and formatting of the blog. Not totally convinced about the way it is now but I’m trying out some new stuff. Let me know what you think! Ok! More on my crazy mash-up setting inspired by a metal album! (The first entry about this is here, the second here). This time I’ll give some information from the perspective of the night side! - Though visible from space, the day side of the planet is not a good place to land. Even in an emergency. No one can remember anyone who landed there ever returning. - They say that the entire day side of the planet is heavily warded from teleportation and scrying from the outside. Some say even the Raven Queen cannot bypass these wards! - The night side of the planet, especially Gloomwrought is a common stoping off point for Spelljammers piloted by pirates and other unsavory characters. - They say if you look hard enough you can find almost anything in Gloomwrought’s markets, but it may cost you more than gold. - Gloomwrought is a strange place. It constantly changes and shuffles itself around. No one seems to know why. - The Raven Queen who rules the nightside of the planet is rumored to have uncovered some secret long ago that gives her power over death and a fondness for the cold. - The Raven Queen has a friendly rivalry with the Fey Winter Court, and has been known to ally herself with them from time to time. - Whatever the truth of the Raven Queen’s history, she seems to have ruled this half of the planet for as long as anyone can remember. - Though she refuses to discuss the day side in public, rumors say that the Raven Queen is desperate for any information on what’s happening there. However, those who give her false information are said to be tortured in unimaginable ways, with no hope of death. - The region of elemental chaos that exists between the two halves of the planet is extremely dangerous, and easy to become lost in. Some say it connects directly to the elemental planes. Very few of the expeditions that have occasionally been launched to try to reach the other side of the planet (and gather information to sell to the Raven Queen) through this rout have returned. Those few that have returned refuse to go back. Ok, I think that’s enough for today, I may come back to this more from time to time, but it may be time to move on to other topics for a while. So last time I gave a quick overview of the idea for a campaign based on the album Warp Riders by The Sword. Today I’m going to go into a few more specifics I’ve thought of when I think about this setting. There may be several different entries in this series, so none of these get too long and I can hit this in manageable chunks. I tried writing this a couple of different times and it kept both getting too long and getting tedious, both to write, and almost certainly to read. Initially I was trying to write this in a really detailed an authoritative manner, simply giving the history of the setting and setting in stone (or nearly so, I think in many places I used phrases like “perhaps” and “maybe” but the general effect was the same) how things went down. As I said it was getting tedious and, to be honest I had trouble really deciding how I wanted things to work and what that history was. I’d of course come up with a lot of this before actually running a game in this setting, at least as much as that history was likely to actually effect what the players were doing and such, but for this series I think I’m going to take a different tack, and hopefully it’ll work a bit better. Last week over at Grognardia James wrote up some examples of the sort of write ups that he’s working on for the area around Dwimmermount in his upcoming published mega-dungeon. I had literally just spent an lunch break trying (and failing) to write up stuff about this setting when I read that. I think that’s the way I’m going to go. Write things up mostly from the perspective of someone who might actually inhabit the setting, and leave things vague and possibly even not totally true. I’ll leave it up to future DM’s (including perhaps some day myself) to give these places and facts more detail and life through play. This may end up coming out something like an old rumor table. Let’s get started with a few in this post, and then there’ll be more in later posts to come. We’ll focus on the day side of the planet for now. 1) The Sorcerer Kings and Queens have been around as long as anyone can remember. Most believe they have always been around, though some say that they were once mortals like everyone else. Some even say that some of the Sorcerer Kings and Queens are much younger than the others and suggest that anyone who’s dedicated enough to sorcery and psionics, and lucky enough to live a long time, could rise to their level. 2) Some whisper that there were once other beings in the world that were even more powerful than the Sorcerer Kings and Queens. They say that some of the strange and dangerous ruins that people sometimes claim to find in the deserts or deep underground are dedicated to these beings. Most people dismiss this a hogwash. 3) People complain about the Sorcerer Kings and Queens rule, but they rarely complain too much. Mostly out of concern for their personal safety, but also because some, especially priests of cults dedicated to them, say that the Sorcerer Kings and Queens long ago came together to banish a great darkness from the world, so that everyone could always live in light. 4) There are persistent rumors that there was once a Sorcerer King even more powerful than the rest. They say that he could control time itself. The story usually goes that the rest came together to defeat him. Some even suggest that they were unable to slay him, and had to imprison him. 5) Some traders and explorers claim that if you go far enough to the north you’ll find a mountain ridge filled with green plants as far as the eye can see. They say that this place is guarded by small people who are rarely seen, but kill outsiders quickly and often. 6) The elves claim that if you travel far enough to the east or west you will find the edge of the world. At the edge of the world, they say, you will find a violent and chaotic place of storms of fire, ice, sand, and stone. Some have even said that occasionally strange creatures infused with the elements will come out of this chaos and wreak havoc before retreating back into the maelstrom. Ok I think that’s enough for today. I’ll get more out in a day or two! What do you think? Which of these work for you? Which don’t? Are any of the interesting? How could I improve them for next time? When I said in my last post that the idea I had for a campaign was metal, I meant it. It was actually inspired by The Sword’s album Warp Riders. I had been listening to the album a bit and listening to the lyrics and reading up on the concept of the album. It struck me that the basic concept of the album would make a pretty neat game setting. Thinking further on this I came up with the idea of combining several different existing campaign settings and ideas into one over the top mega-setting. The planet around which the album is based has become tidally locked, meaning that one side of the planet is always facing the sun, and the other is always in night. My first thought was that a slightly adjusted Dark Sun would probably work pretty well for the day-side of the planet. Harsh, and hot, with the sun as much of an antagonist as anything else. Thinking about the night side of the planet it occured to me that the Shadowfell from the D&D Fourth Edition default cosmology could stand in pretty well for a half of a planet that’s eternally enshrouded in darkness and cold. There’s a song called Night CityÂ which describes a city on the Night Side of the planet full of scoundrels and space pirates (the Warp Riders of the title for example). Thinking about that I liked the idea of adding in some elements of Spelljammer into the setting. Perhaps Gloomwrought (a city in the Shadowfell) is also a space-port filled with pirates and other lowlifes from all around the universe. I like the Dark Sun idea that the Gods are absent, (though may have existed at some time in the past) so I turned the Raven Queen into a particularly successful Sorcerer Queen who rules the nightside of the planet, presumably much to the dismay of the other Sorcerer Kings and Queens who have to share the Day Side. The game could start on the Day Side, which is cut off from the Night Side both by the magical machinations of the Raven Queen and the Sorcerer Kings and Queens, and by a zone of intense elemental storms that exists along the border between the two sides. (Apparently on actual tidally locked planets it’s theorized that there would be intense storms and such where the heat and cold met one another, so I figure we can just add some magic to the mix and turn it into a sort of ring of Elemental Chaos). The players would either be natives to that side of the planet (who may not even know there is a Night Side, or even what night is! ), or perhaps as characters from elsewhere in the universe who had the misfortune to crash land on this planet. Eventually, if their wanderings brought them to it they would find a way to the other side of the planet, where they might have further adventures or might be able to hitch a ride off the planet. So that’s the basic idea, an insane mashup of Dark Sun, The Shadowfell, and Spelljammer, all with twists from a metal album. I’ll go into more detail in another entry soon on some of my thoughts on how all of these things might fit together and what sort of history a world like this might have, some twists and changes, and other details I’ve been thinking about. Hopefully it’ll be interesting you readers, and it’ll give me a chance to solidify some of them into writing. So what do you think? Does this sound like a fun setting? Does it inspire any ideas in you? Let me know! Just a quick note that I finally imported some gaming related posts from some older blogs here. They’re a bit rough when I read through them now, but they were written a while back and mostly for an audience of friends I know in real life. Anyway I figured this was a good home for them. I may go back and see if I have any others from elsewhere I can grab but I think these are probably it. As for new content I’m working on a write up of an idea I had a little while back for a really “metal” gonzo D&D campaign. I should hopefully have that posted in the next couple days. Until fairly recently I’ve at least sort of looked down on random encounters and charts and such. Not entirely mind you, but I had this feeling that they felt like a relic from an older time that were usually just not necessary in a “serious” campaign. It sort of felt to me that any “good GM” shouldn’t need such things as she should be able to either improvise something or have already come up with with “serious” story implications. Lately I’ve come around to randomness more though. In my last post I mentioned the series of articles on random encounters that Steve Winter wrote about. But even before those articles I was starting to change my mind on randomness. 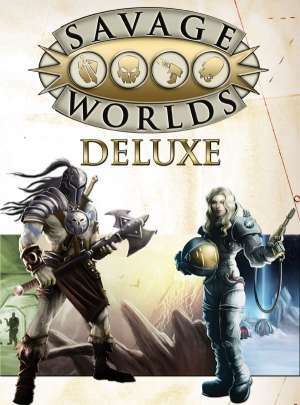 First I had a few good experiences running some games of the recent incarnation of Gamma World and looking at all the fun the players had making sense of the randomly picked options they were presented with. I also read up on the concept of “gygaxian naturalism” after seeing the term a few times. I actually think it was reading that article that gave me a bit of an “ah ha!” moment, where I realized that random encounters and percentage chances of this and that weren’t just there to allow for “lazy” GMing, but were there instead to simulate a natural world where things happen at varying frequencies. That the same factors that make the dice work to make combat exciting and interesting could be put to work in other aspects of the game too. It was then that I started to realize creating or choosing a random chart could actually be a very good method of preparation, just as valid or “deep” as any other method. It’s also a great way to avoid railroading things too much. Randomness is one of the things that’s helped me understand the idea of “old school” gaming a lot more than I used to. For a long time I thought old school games were just simple hack and slash affairs with nothing really “important” happening in them and no good story. Now I see that they’re about the characters encountering a place or world and making their own stories through their actions in that world. In many ways it’s more collaborative storytelling than the way I’ve played some other games with that goal in mind. It’s also a good way to keep yourself on your toes as a GM and force you to do some improvising and even possibly some out of the box thinking to make sense of what the dice are telling you. All of this is to say that I’ve come to appreciate the way that a bit of planned randomness can inject some life into a world and help to create a more “realistic” world for the players to interact with. It’s not all just up to the whims of the GM, some of it is simply the world asserting itself through the dice. It’s also fun when you’re GMing to be surprised by things! This is not to say I don’t also see value in the sorts of games I have generally been playing and in other ways of doing things. I still like, and see value in story-driven games, or GM’s who improvise a lot of what the players encounter. The “Quantum Ogre” doesn’t really bother me all that much, though I see why it is a concern for some or how it could become a problem. But I think through my reading of some old school blogs and thinking about randomness and how it is used in older kinds of games I’ve come to appreciate something I never really did before. Finally! On to some real content! I had an idea a little while back while I was thinking about randomness, specifically while I was thinking about a series of articles by Steve Winter over at his blog (The excellent Howling Tower) and at Kobold Quarterly. Specifically these entries on using random encounters in games. While I was thinking about those ideas I was also thinking about treasure distribution and how I’d like to do it in a future game. I don’t hate the way 4th Edition does it (by default at least) but I’ve thought or a while now that if/when I run another 4e game I’ll use inherent bonuses (still don’t really understand why this wasn’t the default in 4e…) and distribute treasure much more randomly. Anyway, while I was thinking about these two things an idea popped into my head about auctioning off magic items and letting the PC’s participate in those auctions. It suddenly occurred to me that this could be a good way to employ randomness! So the basic idea is this: You have a chart that determines what the various NPC’s the PC’s are bidding against do in a given round of bidding. Each NPC has their own set of modifiers to that chart that effect how they bid in any given round of bidding at the auction, whether they sit that round out, whether they try to outbid the most recent bid and by how much, or if they stop bidding entirely. I liked this basic idea a lot. It lets you as the GM determine some things about what sort of people these NPC’s are and then let the dice decide how they reacted to the PC’s. The players then only need to know what the results are for the NPC’s and bid or not bid accordingly. If they know how an auction works they can do this without any other knowledge. This lets you make an auction exciting for everyone, and avoids the problem of it feeling like the GM is just using auctions as a way to decide how much the PC’s are going to have to pay for an item while wasting their time with a phony bidding process (since she presumably knows ahead of time at what point an NPC’s will stop bidding). My initial thought was of a simple, but custom chart for each NPC, or a few standard charts that would be used depending on how rich they were. But I realized that just a simple chart you roll on might be too static and won’t really provide much in the way of reactions to what the PC’s are doing,. I also realized making up a new chart for every NPC would get pretty tedious. So after some thought I think a better and simpler way is to create a standard chart and then add some modifiers to the NPC’s to add or subtract from their rolls. You can then set some thresholds to subtract from these modifiers to represent the bidders being less and less likely to keep bidding as the price goes up. However, since, at least in the first few rounds of bidding we probably don’t want our PC’s competitors dropping out of the auction immediately, (or at least not have exactly an equal chance of dropping out or bidding an absurdly high sum), we add in the modifiers depending on both how much the character wants the item and how rich they are. My thinking here is to make these simple three step increments. The NPC is either interested (+1), very interested (+2), or desperate (+3). Likewise their wealth follows a similar set: average wealth (+1), wealthy (+2), very rich (+3). These bonuses (one from each category) would then be added up and that would effect how the NPC rolled on the chart (at least initially). So pity the PC’s who want the same item as a very rich, and desperate competitor who would be starting out with +6 to her rolls! Now I say “starting out” because my thinking is that as the auction goes on and the price goes up you would subtract one from their modifier every round of the auction. So the modifiers would go down, and perhaps even eventually go negative making it increasingly likely that the NPC will drop out of the auction (or at least stop bidding long enough for someone else to win). Now remember, I’ve done no playtesting of this at all at this point, and these numbers may be way too big (maybe we just need 2 for each category?). I’m also envisioning an NPC that starts with the maximum bonus being a very rare occurrence indeed. Most of the time rivals should probably be starting with only a +2 or 3 at most. Â There are certainly some potentially big problems with the system. The first being that this may simply be a lot of work and take too much time for something that most players and GM’s won’t really enjoy. I personally find auctions to be fun and exciting but it’s possible others don’t (or wouldn’t at the table. Heck, I might not either once this is tested out!). After running this by a few friends some other possible issues have also been brought up. For example: players sitting at a table may be a lot more detached and rational than they might be in a real auction, so they may stop bidding really early rather than getting caught up in the excitement of the auction, and continuing to bid for a while. -Simplify and abstract things further so that the PC’s only end up bidding against the “top” competitor for the item. -Use some sort of character skill to the process and maybe abstract it into a few die rolls using that skill. -Add in some sort of “compel” mechanic so that the PC’s actually have to make a will save or something in order to avoid making a bid if they want to try to stop. This would represent their character getting caught up in the frenzy of the auction. For the moment I still kind of like the simple and straightforward system where the players don’t need to know how to do anything other than bid in an auction, but this hasn’t been play tested at all and the system as is may turn out to be too cumbersome or tedious. A friend also suggested maybe this could be turned into a way for the PC’s to sell their items, perhaps even a way to fence ill-gotten goods. I’m still thinking on that one a bit, but it might be an interesting (though perhaps a bit too complicated as is) way to determine what sort of price they can get for items they bring back from adventures. Note: This was one of the early posts on my old gaming blog duke.brandonshire.org. I’ve moved all my blogging now with a more general focus than just gaming. Original Post: I realized a few days ago that I never really articulated what I wanted to do with this blog. That’s mostly because I’m not totally sure myself! For the moment my only focus is on tabletop gaming. That probably seems pretty specific to some people I know, but for anyone into the hobby, it’s actually pretty broad. I hope to talk about my thoughts on various games, my thoughts on gaming in general, maybe do some reviews here and there, provide a little bit of useful content for other gamers, and maybe even do some play reports here and there, and any number of other kinds of entries I haven’t even thought of yet. I’m not (at least to start) going to focus on any particular type of game (like old school games, or story games or whatever), or take any particular angle to how I approach my topics. At least that’s how I’m starting out. It’s entirely possible that if I manage to stick with this (and I think I will, at least for a while, I’m enjoying the process, and having somewhere to work out my thoughts and ideas) that a bit of a more specific focus will develop. That’s totally fine by me, and maybe the best way for something like that to happen, at least for me. Anyway, nothing groundbreaking here, but I just thought I’d add a bit of a note about what this blog is about. I’ve still got a couple of entries in draft form that I’m working on polishing up, but they’re not quite there yet, and a few things have cut into my blogging time recently, but they are still in process and I hope to post them soon! What would you like to see from a new gaming blog? Anything you want me (or someone!) to talk about? So in my first entry I detailed a general outline of my RPG history. That entry was getting pretty long so I thought I’d talk about where some of my interests are right now for a follow up entry. I’ve certainly developed a bit of a “wandering eye” for games in the last few years. Whereas for a long time I’d only played a few games in the last five or six years I’ve played lots and lots of different games, and I’ve been introduced to even more that I haven’t had a chance to play yet! I’m pretty open to different kinds of gaming. I love every version of D&D I’ve played (for different reasons, but I honestly enjoy all of them). I’ve enjoyed playing a lot of smaller “indie” games and story games, and bigger more complicated tactical games. I’m open to all sorts of genre’s and settings. I’ve enjoyed games that were high fantasy, games set in Manhattan in 1890, games set in space, post-apocalyptic games, super hero games, and all sorts of other games. I’m interested in just about anything else you can think of that might lead to Adventure! ; if someone wants to run a game I’m probably interested in trying it out! That being said a number of games have been particularly grabbing my eye lately and I hope to have a chance to try them out soon. A lot of my interest has been in more “old-school” style gaming lately. I haven’t actually been playing anything terribly old school, other than a short session of the Dungeon Crawl Classics RPG, but I’ve been reading about such games for a while and have picked up a few to read through. I think part of it is the history major in me, just wanting to learn a bit more about the roots of the hobby, and the other part is just wanting to try out some styles of gaming I haven’t really had much experience with. I started with 2nd Edition and while that is I think a reasonably old school system (or can be played that way) I don’t think we really played it in what most would call an old school style. The game was basically us following a (mostly improvised if I remember correctly) story that our DM was telling. There’s nothing wrong with this way of playing at all of course! I had a great time! But it wasn’t exactly a sand-box sort of game where the story emerged from our actions more than from the story our DM wanted to tell. I’ve been reading through Adventurer Conqueror King, and reading reviews of the system and I have to say I’d love to give it a try some time. I also backed the Dwimmermount Kickstarter and I’m eagerly awaiting the final product (I’ve been enjoying the previews so far!). I grabbed the 1st Edition reprints when they came out and I’ve been enjoying reading through them as well. I also have the previously mentioned Dungeon Crawl Classics RPG and I’m very excited to keep trying that out. I like the simpler more rules lite approach most old school games have, it’s a bit of a breath of fresh air after playing a lot of 3rd and 4th Edition D&D (not that I don’t still enjoy both of those games!). I think what I’m most intrigued by is the idea of adventures and games that are simply locations or situations, rather than a part of an ongoing pre-scripted story. I like the idea of stories that emerge from what the players do. A world that simply exists and reacts to the player characters rather than the other way around. I’ve really come to appreciate what old school gaming was and is about, and I’d like to give it more of a try. This isn’t to say that I’m not also interested in plenty of other games or other kinds of games! I’m loving our Apocalypse World / Traveller hack, and there are plenty of very different kinds of games I hope to try out soon as well! What has grabbed your interest lately? Any particular games you’re itching to try? Any new games you’re playing now? Let me know! Welcome to the Duchy of Brandonshire! Note: This post was originally the first post on my old Gaming blog duke.brandonshire.org. It’s been moved here now that I’ve moved my blogging to this site. Hello there! Welcome to my first real entry in my newly formed gaming blog. I’ve been doing some form of blogging for a while now but other than a period in college when I was using Livejournal a lot never very regularly. I’ve been kind of hoping to try to get myself to do it somewhat often though and I think maybe having a focus would help. As my friends can tell you most of recreational headspace has been devoted to tabletop role playing games for a while now so that seems like a good focus to use. Hopefully this’ll be interesting to other people, but even if it’s not it’ll help me to focus down my thoughts on a number of gaming related topics, and improve my writing at the same time. Anyway, I thought a good way to start might be to recount my history as a gamer. What sorts of games I’ve played and enjoyed and the like. Let’s get to it. was around 10 or 11. I say formally because I was one of those kids who always loved to play “pretend” games where you’d pretend to be a character (often from some movie I’d just seen or book I’d just read or whatever) and then try to play out different scenarios with friends. Every kid did this but I think I may have continued to do it a bit longer than most kids (heck, I’m still doing it!). Anyway, some of my friends and I had sort of been moving toward formalizing this stuff a bit anyway as we got older, with somewhat more focused play. Eventually, after I bought a copy of the Complete Thief’s Handbook just because it looked cool (I knew very little of D&D then), one of my friends said we should start playing Dungeons & Dragons. He was the youngest of five, so his older siblings had been playing for a long time and he’d been around it for his whole life. He got together four of us and his older brother (to “assistant DM” while he learned the ropes) and started up a game of AD&D 2nd Edition with us. I rolled up a thief. My Thief’s Handbook went missing sometime over the years! We played in that campaign with our original characters for years, pretty often throughout middle school, and a lot less frequently in High School. Most of the time we had no idea really what we were doing, and looking back on it I know we were doing some stuff “wrong” (at least as far as the rules are concerned) but we had a lot of fun. I think when we finally stopped (not really a formal thing it just happened at some point) my character was 13th level. During much of that time we also flirted with a few other games but never really got them going. I had a lot of Rifts books for example, but for the most part we just read the books and made characters. We only played a few times and those sessions were usually not really followed up with anything. The system just didn’t really work for us. Still, I love the over-the-top world of Rifts, and I wish I could find all of my books from that time. As I said, when we got to High School our role playing kind of slowed to a trickle and eventually stopped. This wasn’t really a conscious decision on any of our parts, I think other things like clubs, sports, and dating and the like simply took up more of our time and pulled our interest in other directions. I do think we may have had a few brief sessions of 3rd Edition D&D when that came out, enough that I understood the gist of the system and could grok it pretty well when I played the Knights of the Old Republic Star Wars video games which used the basic d20 system, but I don’t really have much in the way of memories of playing much of 3.0, and I can’t fully place when exactly those sessions happened. Sadly, despite my interest, I never really played much in college. Again, other things go in the way and finding someone who wanted to GM was tough, especially with the generally fairly heavy workload that I and most of my friends had in college. After college though, a friend and her (then) boyfriend (now husband) wanted to start playing and were kind enough to invite me to play with them in a 3.5 D&D game. We had a great time in that game, playing the same campaign reasonably regularly for roughly 3 or so years. I made a number of good friends that way, some of whom I still play on a regular basis. As that campaign was winding down 4th Edition D&D came out and I decided to try my hand at DMing. I have one or two entries on my old blog about that that I’ll probably import over here, but the summary is this: I really enjoyed DMing, and 4E made it easy for a first time DM to jump in and get going. I have plenty of issues with 4E, but overall I still enjoy it as a system and still enjoy it as a player (I’m an occasional guest player in a friends 4E campaign). As you can see in this picture of (the majority of) my RPG stuff, I went a little crazy buying 4e books. It was the first time I really had enough disposable income to buy a lot of RPG books. Though most of them were purchased for a pretty substantial discount thanks to Borders coupons and then Borders closing sales. I’ve bought a fair number of other games and books too in the last few years, but I’ve been cutting back of late. During that time I also got to try out a lot of other systems in short adventures that were a lot of fun. We played a few sessions using True20, Savage Worlds, Mutants & Masterminds, Gamma World (latest edition) and a number of other systems and games I’m sure I’m not thinking of at the moment. After the two friends who invited me to play in the 3.5 game moved away, the remaining members of our group merged with another friend’s group and we’ve been playing together ever since. We’ve done a lot of system hopping since then but it’s been a lot of fun. We played a reasonably long Savage Worlds campaign set in Ancient Greece, and a stint playing the Grand Pendragon Campaign in King Arthur Pendragon. We’ve also had some brief sessions playing things like ICONS (which I GM’d! ), the DCC RPG (hope to play a lot more of that soon), and Dungeon World. Most recently we played a bit of Traveller, but found parts of the system didn’t quite work for us, so we blew up the whole thing and restarted the campaign using a hack of Apocalypse World that my friend is continuing to refine. It’s is a lot of fun and the system is working really well for the sort of space stories we want to tell. And I think that about brings us up to present! This entry has gotten quite a bit longer than I planned it to be so I’m going to cut it short and I’ll pick up later with a bit about what sorts of games I’ve been interested in lately.